We make sure our dining sets pass the test so you can pass the salt. With a huge selection in stock, we’re able to provide you with dining pieces that are distinctive in color, finish, and function. 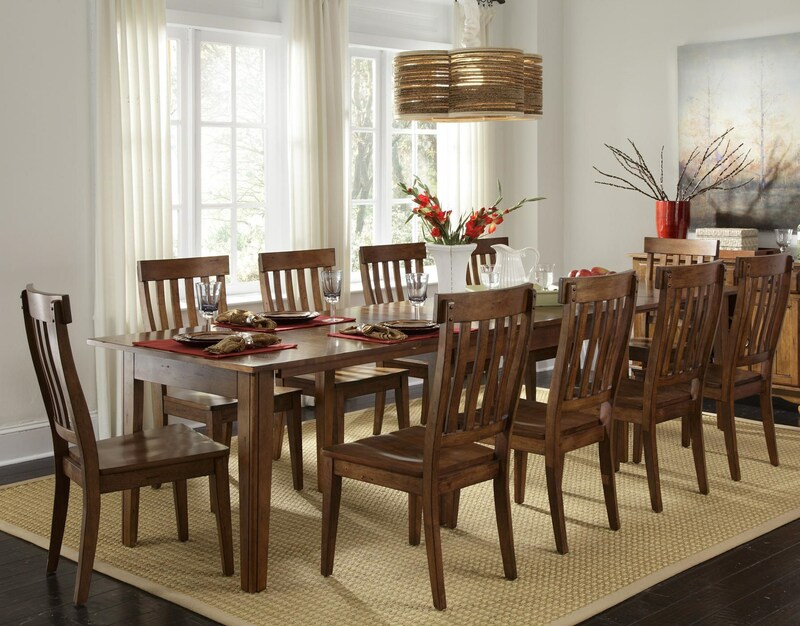 From formal dinners to food fights, Van Hill has got your dining room needs covered. 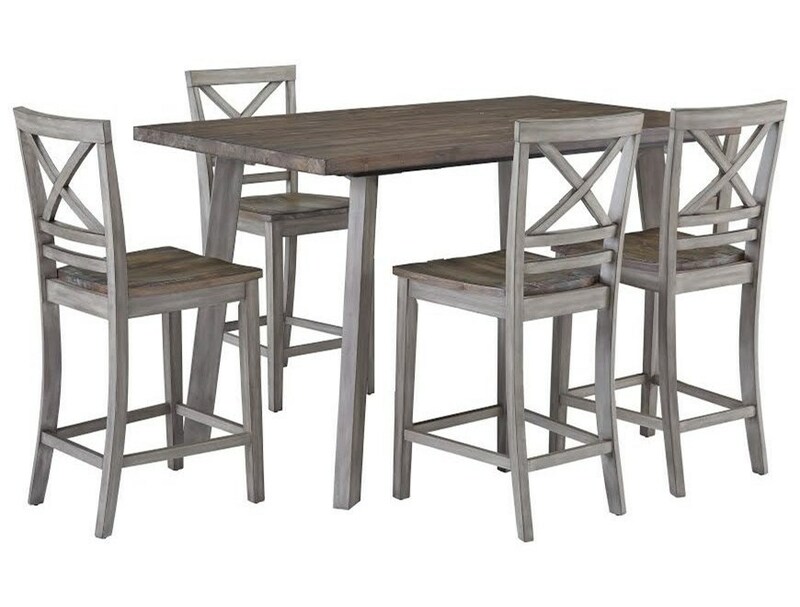 Looking for a trendy counter height dining set? We’re on your level. Nearly half our dining displays show off this tall, contemporary dining option that features a variety of counter height tables and chairs that are sure to fit your stylish standards. Whether you’re in the market for a traditional dining table or a more casual and contemporary option, Van Hill can help you set a large dining table for lasting memories. Choosing the perfect dining table and chair set will make a Saturday morning family breakfast just as special as a Thanksgiving dinner – and that’s a recipe worth keeping. 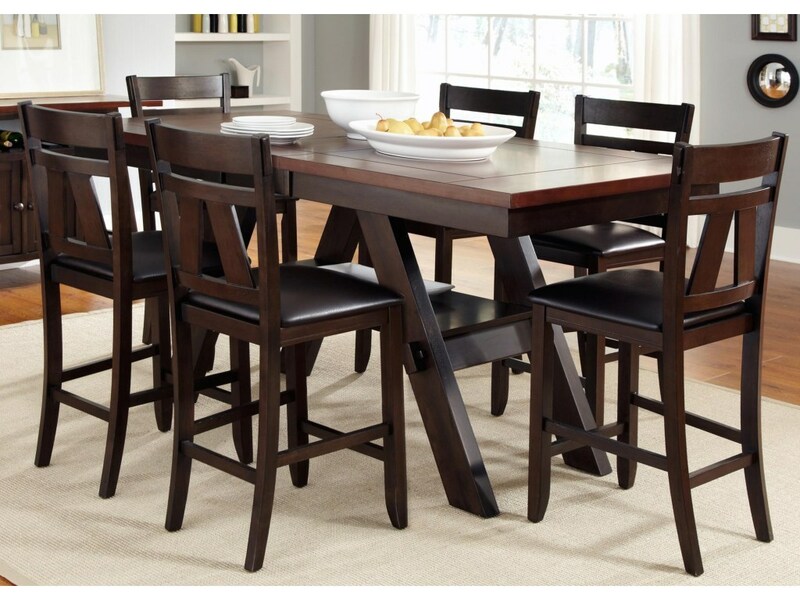 Van Hill Furniture Superstore can help you find the perfect formal dining set, casual dining set, dining table, kitchen table, stone top dining table, pub table, bar, bar and barstools, dining chair, china cabinet, server, buffet, baker's rack, and more all at great prices. Van Hill Furniture Superstore is the best place to shop for dining room furniture in the Grand Rapids, Holland, Zeeland MI Area. Van Hill Furniture is conveniently located for dining room furniture shoppers in Grand Rapids, Holland, and Zeeland Michigan.